PHP RESTful APIs for developers to convert documents among supported file formats. Allows seamless integration into your applications. 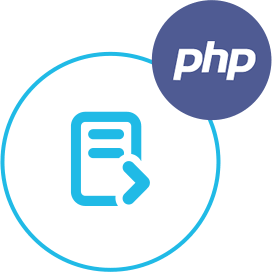 The GroupDocs.Conversion Cloud SDK for PHP has been developed to help you get started with our document conversion REST API, which lets you seamlessly convert your documents to any format you need. With this single API, you can convert back and forth between over 50 types of documents and images, including all Microsoft Office and OpenDocument file formats, PDF documents, HTML, CAD, raster images and many more. If you do not want to use any of our SDKs or the required SDK is not available at the moment, you can still easily get started with GroupDocs.Conversion Cloud API while using your favorite language & platform. GroupDocs.Conversion Cloud converts back and forth between a variety of documents and images.  GroupDocs.Conversion REST API has the capability to convert documents to any of the supported formats, Using the SDK for PHP, we can perform this task with just a few lines of code. GroupDocs.Conversion Cloud API is completely independent of your operating system, database system or development language. You can use any language and platform that supports HTTP to interact with our API. However, manually writing client code can be difficult, error-prone and time-consuming. Therefore, we have provided and support API SDKs in many development languages in order to make it easier to integrate with us. If you use SDK, it hides the REST API calls and lets you use GroupDocs.Conversion Cloud API features in a native way for your preferred language. The GroupDocs.Conversion Cloud API is secured and requires authentication. Users need to register at GroupDocs Cloud and get their app access key ID (appSID) and app secret access key. Authenticated requests require a signature and AppSID query parameters or OAuth 2.0 athrorization header.